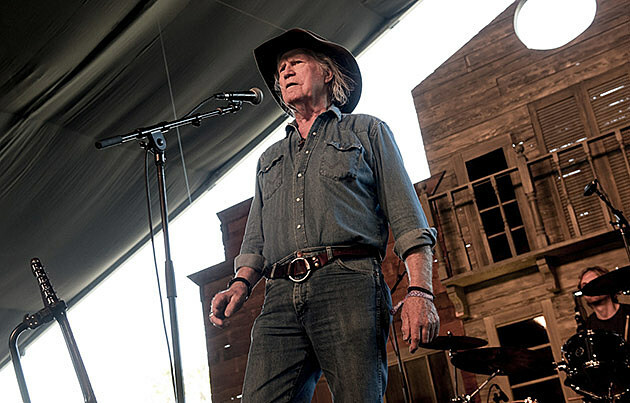 Another artist on Stagecoach this year that’s a good one to cross off your bucket list is Billy Joe Shaver. His 1973 album Old Five and Dimers Like Me is beloved in certain circles and an early example outlaw country. (It came out the same year as the outlaw classic Shotgun Willie by Willie Nelson, who Billy collaborated with on his 2014 album.) Recent live videos show he’s absolutely still got it well into his 70s, so there’s pretty much no reason not to take the chance to see him if you’ll be at the fest. There are plenty of other chances to catch Billy all over the country, as he continues his tour this weekend and stays on the road through late June. One of the shows happens in NYC on June 12 at City Winery with Danny Burns. Tickets for that show are on sale now. All dates are listed, with a live video from 2012 and more pictures of his Stagecoach set, below.